Cavaliers reportedly interested in Nuggets lead assistant coach Wes Unseld Jr.
Now that the 2018-19 NBA regular season has concluded, every team that has missed the playoffs is now looking toward the future which almost always means a change in direction. As that process begins, coaches and executives usually start to lose their jobs and the 2019 offseason is no different for the teams who will be watching the postseason from home. One of the teams on the outside looking in and in need a new direction are the Cleveland Cavaliers. On Thursday morning, less than 24 hours after the regular season came to a close, head coach Larry Drew “mutually parted ways” with the Cavaliers organization according to Shams Charania of the Athletic. With Drew on his way out, the Cavaliers are now turning their attention to their coaching search. According to Adrian Wojnarowski of ESPN, the Cavaliers will be interested in a wide range of candidates including Alex Jensen of the Utah Jazz, David Vanterpool and Nate Tibbetts of the Portland Trail Blazers, Darvin Ham of the Milwaukee Bucks as well as some college coaches. Wojnarowski also reported that Denver Nuggets assistant coach Wes Unseld Jr. is expected to be in the running for the vacant head coaching job in Cleveland. It has been a badly kept secret in Denver that Unseld Jr. is likely on his way to a head coaching job sooner rather than later. He has been a massive difference maker for the Nuggets which is why Malone promoted him to be his lead assistant coach in the 2016-17 season. 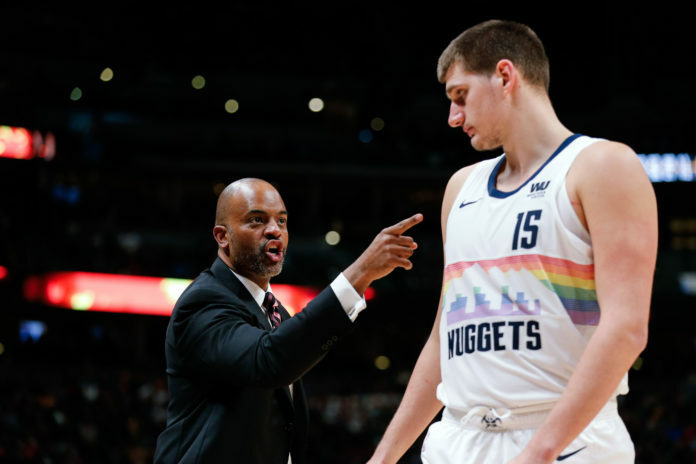 Unseld Jr., who has been an assistant coach on Michael Malone’s staff since the 2015-16 season, is regarded as the architect of the Nuggets now top-10 defense and is beloved by virtually every player he has coached in that time period. Unseld Jr.’s resume is getting quite prestigious. 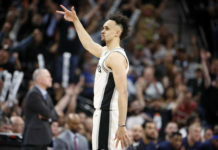 He has helped create and cultivate one of the best young cores in the entire National Basketball Association, has an incredible amount of respect around the league between players and coaches, has shown that he excels in developing strong relationships with his players, and also has helped grow a franchise from a 33-win team in the 2014-15 season to a 54-win team just four years. In addition to his accomplishments, Unseld Jr. also has more than 13 years of service as an assistant coach at the NBA level. Unseld is a massive part of Malone’s coaching staff, but he is also on his way to being a head coach one day. If one fact is assured, it is that the Nuggets will not hold Unseld Jr. back from accomplishing his goals. 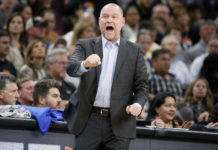 If he wants to interview for the Cavaliers head coaching position, all signs point to the Nuggets allowing him to do so despite getting his contract extended before the 2018-19 season started. 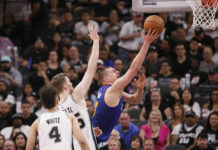 The Nuggets organization prides themselves in hiring good people and supporting them as they get bigger and better jobs around the league and that will not change anytime soon.